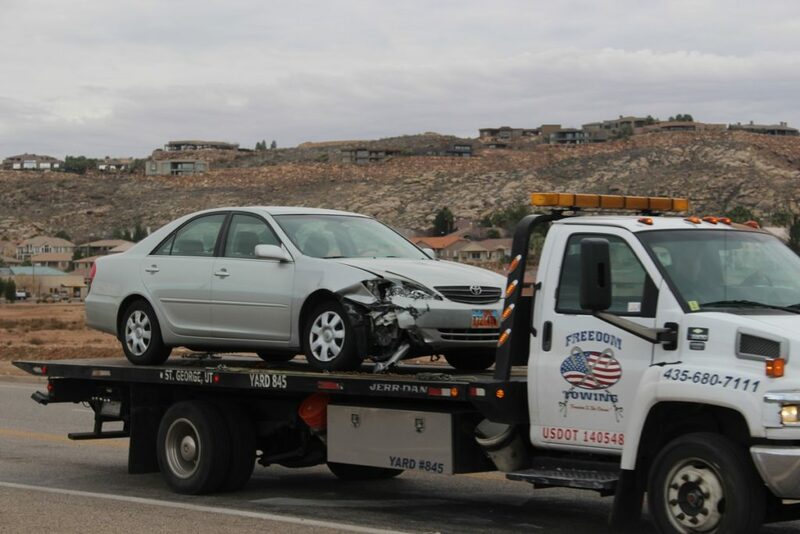 ST. GEORGE — A two-vehicle collision near 1450 S. River Road that sent one man to the hospital was caused when one driver failed to yield while making a left hand turn, police said Friday. 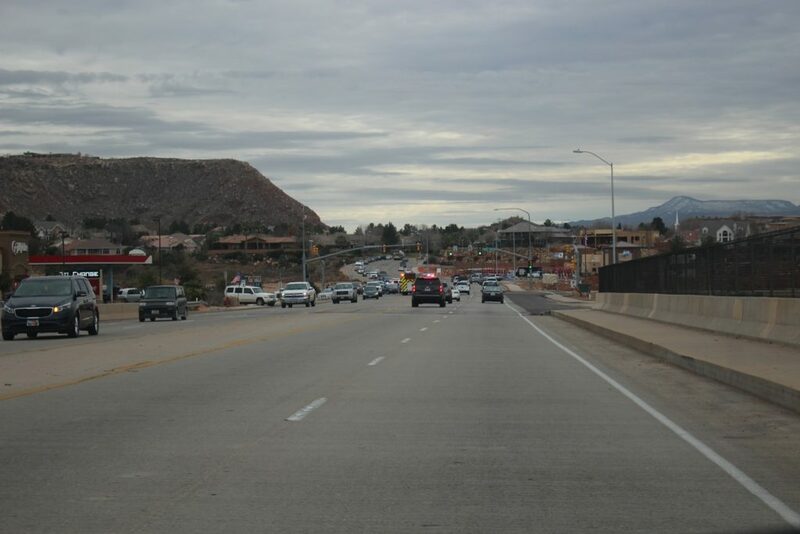 The driver that was struck was transported to the hospital after he was found unconscious by first responders, St. George Police public information officer Lona Trombley said. 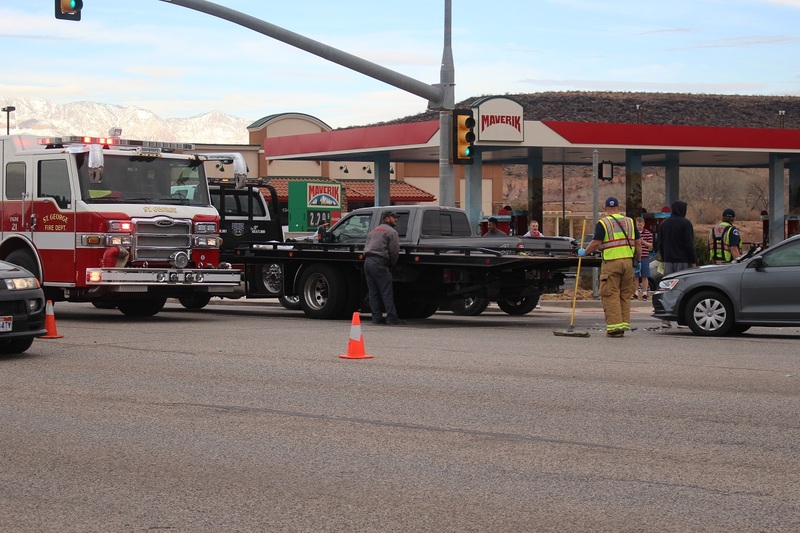 At approximately 2:30 p.m. emergency personnel were dispatched to the intersection of South River Road and 1450 South on a reported two-vehicle crash. Upon arrival officers found the two cars involved – a silver Toyota Camry driven by a 32-year-old man and a gray Volkswagen Jetta with an unconscious 19-year-old man inside. EMT’s removed the man from the Jetta and transported him to Dixie Regional Medical Center in stable condition. The man driving the Toyota told officers he was uninjured in the collision. Officers determined after speaking with witnesses at the scene that the man driving the Toyota was heading south on River Road and was making a left-hand turn onto 1450 South when he pulled directly into the path of the oncoming, northbound Jetta, Trombley said. 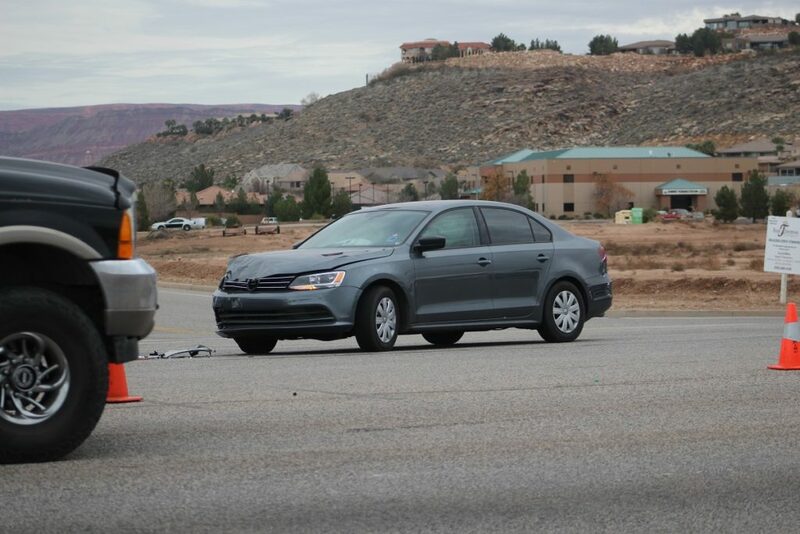 The Jetta was struck on the driver’s side of the vehicle, which deployed the front and side airbags. Officers believe that the force of the airbags deploying is what may have knocked the man unconscious, she said. Both vehicles were rendered inoperable after the crash and towed from the scene. Both drivers were wearing their seat belts at the time of the crash, the officer said. The man driving the Toyota was cited for failing to yield on a left hand turn. 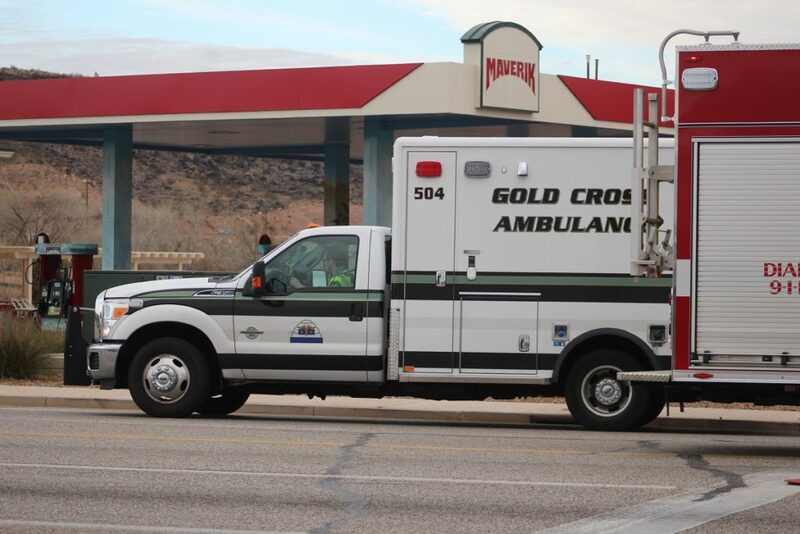 The St. George Police Department, the St. George Fire Department and Gold Cross Ambulance responded and tended to the large scene.